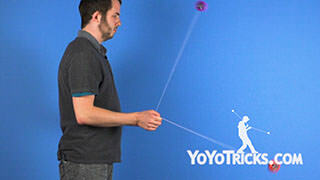 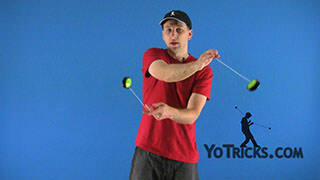 Learn the Basic Long Spin Wrap 2A yoyo trick. 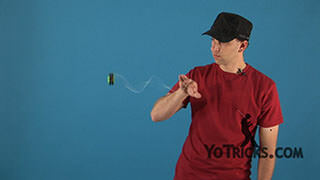 Basic Long Spin Wrap Yoyo TrickThis is the Basic Long Spin Wrap, and it looks like this. 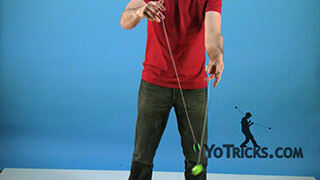 A few things to note when doing this trick, what you want to practice is… hold your non-dominant wrist out like this. 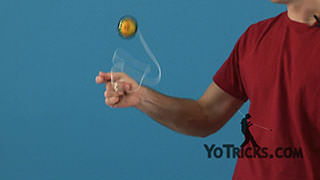 You want to throw the yoyo so that it comes around your wrist and falls in between the string and your opposite arm here, and then you are just going to wrap it on top of your arm like this. 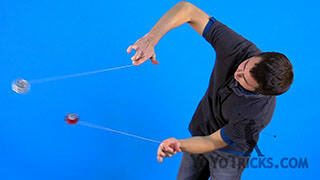 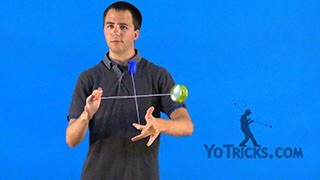 In order to exit the trick, you are going to drape it over your arm like this, and then you are going to use your opposite wrist to pull the blue yoyo out of the wrap. 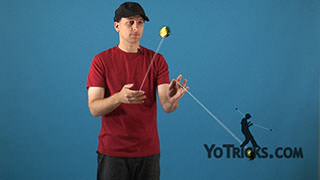 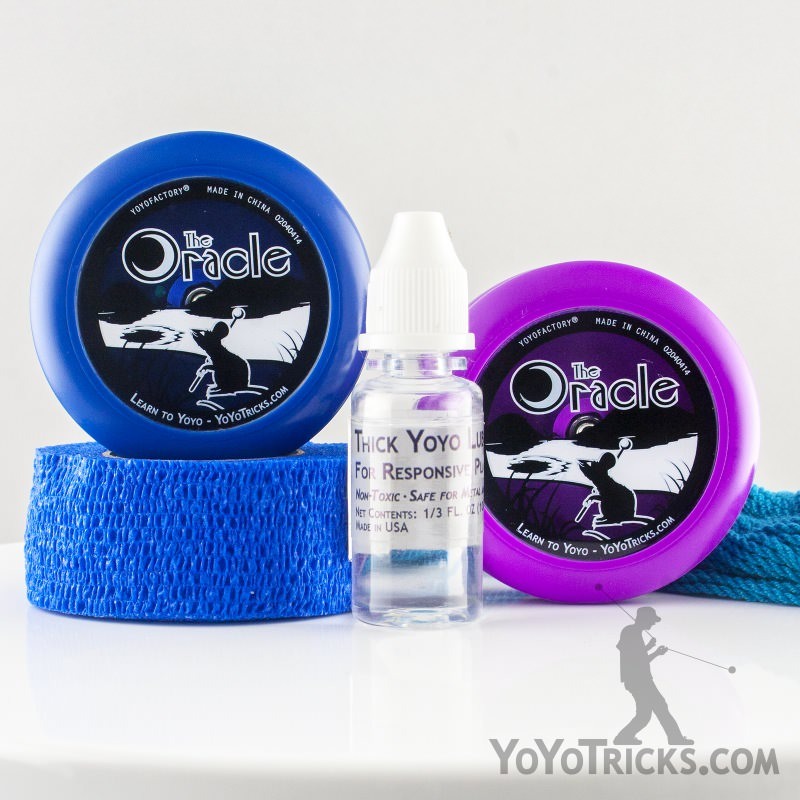 You are going to create the wrap with your dominant hand yoyo, and then you are going to undo the wrap with your non-dominant hand yoyo. 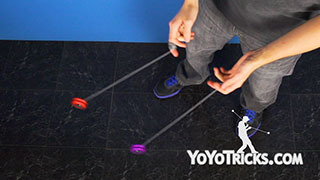 So I created the wrap, and then I get out of the wrap. 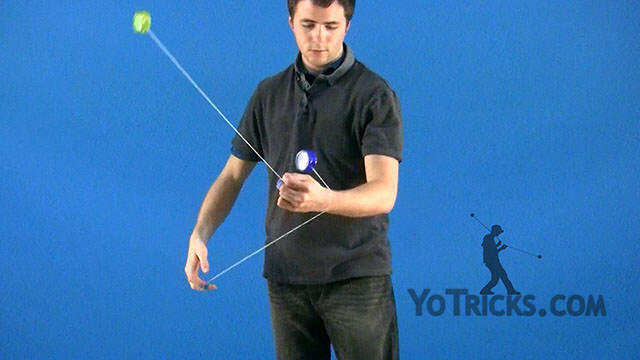 You want to make sure that you start with your dominant hand across your wrist like this, and then you are going to undo it with your opposite wrist. 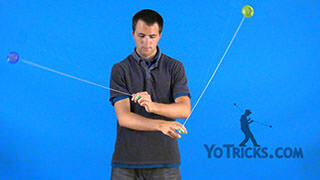 So you are going to transfer the string from sitting on this wrist to sitting on this wrist half-way through. 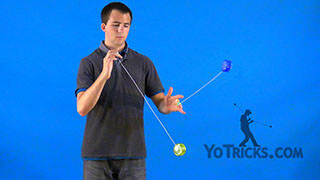 Once you are here you essentially want to catch the Around the World with your wrist and then pull it out of the wrap. 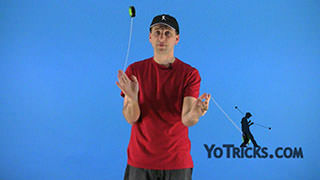 When you are working on this trick, I like to turn towards the dominant side of my body. 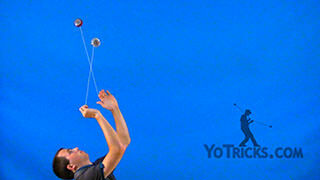 I am going to throw it as if I were throwing it behind me and I am going to throw it in a staggered throw. 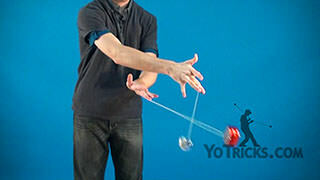 I am going to start with my non-dominant hand, and then throw with my dominant hand, like this. 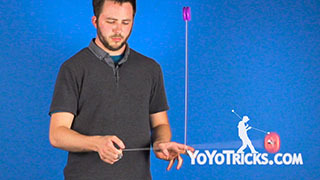 Not really throwing them together like this, per se, but to throw it so there is a bit of a delay with my dominant hand. 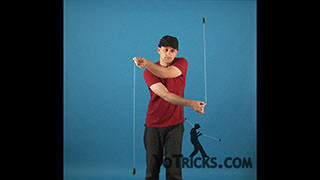 That way when you go into the wrap you have the rhythm to get out of the wrap cleanly. 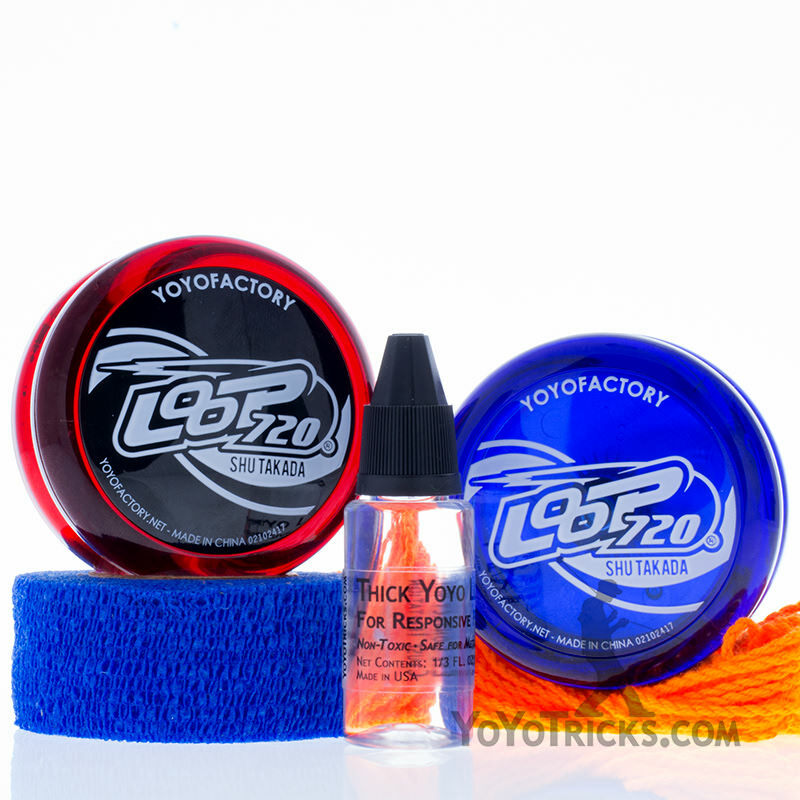 Also, it helps just to do one Around the World after you enter the wrap, and then exit the wrap after one Around the World. 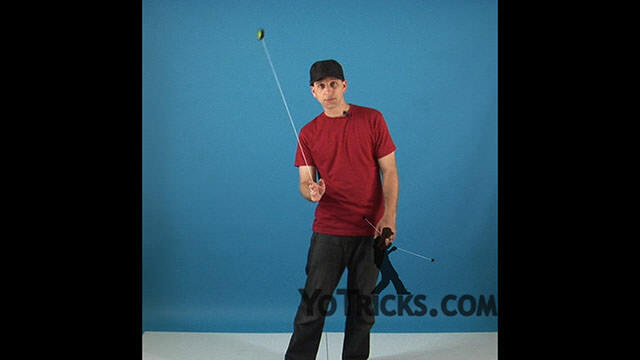 Also, it may help with the timing, if you can’t get the starting throw behind you, you can start in front of you and then do a 3-Beat Around the World and then go into the wrap like this. To finish the trick you want to exit out of the wrap with an Around the World with your non-dominant hand, and that’s it. 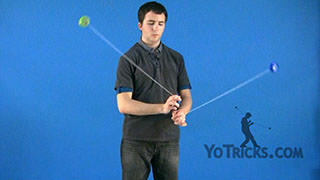 That is the Basic Long Spin Wrap.